one more advantage in its mission to feed the world. Origins of Olymel: Although founded more than 25 years ago, Olymel has strong ties to Quebec farming. Its principal owner, La Coop fédérée, has been an active participant in the development of the agrifood industry since 1922. In its long history, and thanks to its expansion, La Coop fédérée, a cooperative with more than 90,000 members today, has made a vital contribution to the growth of the pork and poultry sector. In the early 90s, management of these assets was turned over to its subsidiary, Olymel. La Coop fédérée creates the Olymel limited partnership by merging its operations with those of Groupe Olympia in order to consolidate the pork processing sector. 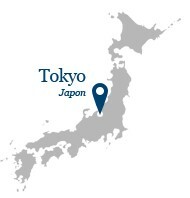 Olymel continues its expansion with the acquisition of Tyson Foods Canada, and opens an office in Tokyo, Japan. Olymel enters into a business partnership with Exceldor to form Unidindon, which quickly becomes the largest turkey processor in the country. La Coop fédérée acquires control of Olymel and assigns it subsidiary status. In addition to its operations in the pork sector, the new subsidiary is also tasked with developing La Coop fédérée's poultry sector, where its Flamingo brand is already famous. Click here to learn more about Flamingo. 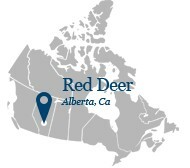 Olymel acquires a world-class hog slaughterhouse and butchering facility in Red Deer, Alberta. This major acquisition puts the company in a unique position to develop the entire Canadian market, while opening the door to new export opportunities. The Société générale de financement du Québec (SGF) participates in the transaction. Olymel begins a relationship with a major player in agrifood processing, Groupe Brochu, by taking a 50% interest in the bacon manufacturing sector. Olymel enters the Australian market and sets up an office in Sydney. The success of the partnership with Groupe Brochu leads to the complete merger of the operations of Olymel and Supraliment, the meat division of Groupe Brochu. One result of this operation is to add the Lafleur brand to the company's line-up of leading brands, Olymel and Flamingo.The Lafleur brand, already widely known for its pork sausages, has had a presence in the Quebec market for more than 100 years. To learn more about Lafleur's first hundred years, click here. As a result of this transaction, Groupe Brochu becomes owner of 22% of the assets of the Olymel limited partnership, while La Coop fédérée remains the principal owner. Olymel seizes this opportunity to reorganize part of its business operations in order to take advantage of the synergies resulting from the merger. Olymel continues to develop export markets, especially in the pork sector. 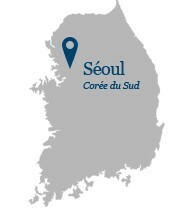 The company opens a new office in Seoul, South Korea. Olymel signs a partnership agreement with New Brunswick poultry producer Groupe Westco for construction of the Sunnymel chicken slaughterhouse and butchering facility in the Village of Clair, New Brunswick. In January, Olymel acquires Big Sky Farms in Humboldt, Saskatchewan, the third largest hog producer in Canada. In January 2013, through its Olysky subsidiary, Olymel acquired Big Sky Farms, an integrated swine production company founded in 1995 in Humboldt, Saskatchewan. The 3rd largest hog producer in Canada, Olysky has a herd of 42,500 sows. Its nursery and finishing operations, together with a breeding pen, are spread across 52 facilities, primarily in Saskatchewan. Olysky also operates mills that supply 60% of the feed for its breeding operations in Western Canada. Through its subsidiary Olysky, Olymel has privileged access to over a million hogs annually, providing a large portion of the supply for its large pig slaughterhouse and butchering plant in Red Deer, Alberta. In January 2014, La Coop fédérée and its meat processing subsidiary, Olymel l.p., announced the transfer under the responsibility of Olymel of technical and consulting services for swine industry producers, such as herd management, animal welfare and meat quality, as well as the operations of Sogeporc Inc., a subsidiary specializing in improving and marketing swine genetics. Now that it has become a major player in the hog production industry in Canada, Olymel believes that the conditions are at last in place to embark on an integration strategy designed to achieve all the synergies needed for a robust pork production chain, enabling it to add value to its products and better serve its customers in Canada and around the world. In February, Olymel and ATRAHAN Transformation Inc. announced the signing of an agreement in principle to establish a business partnership for the joint operation of their pig slaughtering and butchering and pork processing operations. In November, Olymel and Groupe Robitaille jointly announced the signing of an agreement in principle for the conclusion of an equal equity partnership in a joint venture via an exchange of shares in Aliments Lucyporc and Viandes Dunham. Olymel announced two major transactions with partners in the fresh pork industry in Quebec. Once approved by the Competition Bureau, these business partnerships will enable Olymel to better meet the supply needs of its pork processing facilities, on one hand, and on the other, enjoy synergies that will enable it to consolidate its presence on several other markets. On February 25, Olymel and ATRAHAN Transformation Inc. announced the signing of an agreement in principle to establish a business partnership for the joint operation of their pig slaughtering and butchering and pork processing operations. ATRAHAN Transformation Inc. is a family-owned business located in the municipality of Yamachiche, in the St. Maurice Valley region of Quebec. Founded almost 60 years ago, the company has over 350 employees, possesses a slaughtering capacity of almost one million pigs annually, and exports its products to over 50 countries. On November 9, Olymel and Groupe Robitaille, a diversified family business operating in poultry and pig production, feed milling and agri-food processing, jointly announced the signing of an agreement in principle for the conclusion of an equal equity partnership in a joint venture via an exchange of shares in Aliments Lucyporc and Viandes Dunham. Aliments Lucyporc has more than 350 employees. This company is also located at Yamachiche in the St. Maurice Valley region, and specializes in the slaughtering, butchering, processing and marketing of high quality pork products, including the renowned Nagano pork. Its niche products are exported to Japan, the United States and Mexico. Viandes Dunham employs thirty persons and is a meat processing company serving the hotel, restaurant and institutional (HRI) segment. In 2016 Olymel celebrated its first quarter century as it pursued an aggressive development and modernization program. In the last few years Olymel has invested $330 million to reinforce its poultry and pork sectors. Also in 2016, Olymel concluded two major partnership agreements with ATRAHAN and Groupe Robitaille, both in Yamachiche, and acquired La Fernandière in Trois-Rivières. Announced in 2015, the partnership with ATRAHAN Transformation Inc. of Yamachiche was approved by the Competition Bureau of Canada in February 2016, allowing the pork meat processing plant with more than 360 employees to become a division of Olymel. Then in August 2016, Olymel and Groupe Robitaille announced that their partnership agreement in Lucyporc, a hog slaughtering and butchering company specializing in niche products, such as Nagano pork and Mugifugi pork, will be sealed with a major $80 million investment project to expand the ATRAHAN division of Olymel plant in Yamachiche, Quebec, which will now be dedicated to the manufacture of value added products. The two partners will close this transaction on December 31, 2016. In just over two years, this project will bring employees of the Olymel division in Yamachiche and those of Lucyporc together under one roof, creating 350 new jobs. Also in 2016, Olymel announced an injection of $25 million in an expansion of its hog slaughterhouse and butchering plant at St-Esprit in the Lanaudière region in order to boost its production capacity. In June of the same year, Olymel announced the acquisition of La Fernandière, a food further processing company in Trois-Rivières specializing in the production of a wide range of fresh sausages. Olymel will also concentrate its entire fresh sausage production in this plant, and will invest $1.5 million to add a production line, creating 100 new jobs. Likewise in 2016, Olymel also made significant investments in the poultry sector. For example, Olymel invested $10 million to expand its poultry slaughterhouse and butchering plant at St. Damase to install an air chilling room, and more than $20 million to increase production capacity at its poultry further processing facility in Brampton, Ontario, specifically for the manufacture of breaded products. Lastly, on November 25, 2016, Olymel announced the acquisition of Pinnacle Farms Inc./ Verus Management, a large hog producing company located near Strathmore, east of Calgary, Alberta. Olymel has taken over all inventories, thereby strengthening its supply chain in Western Canada. 2016 was also the year Olymel celebrated its first quarter century. Olymel management organized numerous events to thank the firm's 11,500 employees and show its gratitude to the many customers, consumers and suppliers that have remained loyal over the years. Thanks to these 25 years of mutual trust, Olymel has enjoyed uninterrupted growth, enabling it to extend its operations to five provinces in Canada and showcase its expertise in more than 65 countries worldwide. In 2016, Olymel posted the best results in its history, with sales of $3.2 billion. The year 2017 was marked by the intensive pursuit of Oylmel's development and growth through strategic investments aimed at optimizing all its activities. Part of these investments was used to launch the major work to redevelop the ATrahan plant, a division of Oymel in Yamachiche. This is a flagship project for the partnership with Group Robitaille in Lucyporc that aims to integrate activities into a single pork transformation facility with more than 1,000 employees and specialized in value-added products. This $110 million construction project, which should be completed in 2019, is the largest structuring investment in Eastern Canada's pork industry to date. In the pork sector, Olymel also invested in the expansion of the La Fernandière plant in Trois-Rivières and in the addition of fresh sausage manufacturing activities at its facility in Red Deer, Alberta. In its swine production sector, Olymel completed the acquisition of Alberta's Verus Animal Management Services swine production farms. In Quebec, the construction of a third sow barn at Fermes Boréales was started in Lorrainville, Témiscamingue. In the poultry sector, Olymel invested $30 million in Brampton, Ontario, to acquire a second plant (Westwyn) and redevelop a nearby plant that it already owned (Orenda). A fourth production line dedicated to breaded poultry products, a category in high demand on the market, was added to the Orenda plant, while the new Westwyn plant is now specialized in deboning. Olymel also invested $8 million in its poultry further processing plant in St-Jean- sur-Richelieu to house new activities, thereby creating 40 new jobs. Finally, in 2017, Olymel continued and intensified its commitment to animal welfare by assigning significant investments and undertaking major work to install CO 2 anesthesia systems in its swine and poultry slaughterhouses throughout Canada. Olymel constantly strives to modernize its equipment, improve efficiency, and invest in research and development in order to better serve consumers as dining habits change, market its products more efficiently, and lastly, remain innovative in all aspects of its operations. For more than 25 years, Olymel has preserved the traditions inherited from the past and expanded the know-how of the companies it has created or incorporated into its operations. The saga of Olymel is the story of a rich heritage nurtured by women and men who are passionate about their work, a heritage that will live on for many years to come.